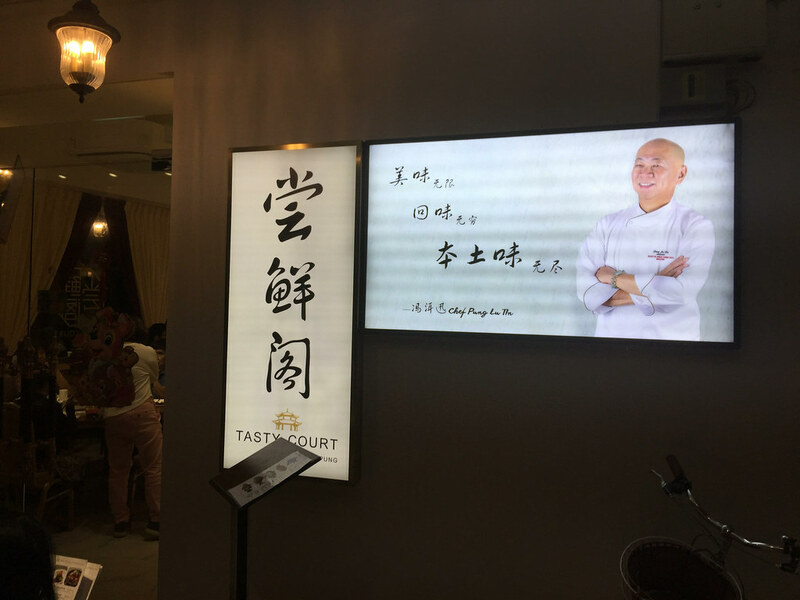 For my father's birthday celebration this year, we decided to go to Tasty Court by Chef Pung (尝鲜阁) in Siglap. The restaurant has been very crowded since it opens about a year back. During our visit, the place was so packed that there was hardly space to walk, with the chairs touching each other from the next table. It was drizzling outside and the Braised Fish Maw with Chicken Stock Soup ($28) was just perfect for the weather. 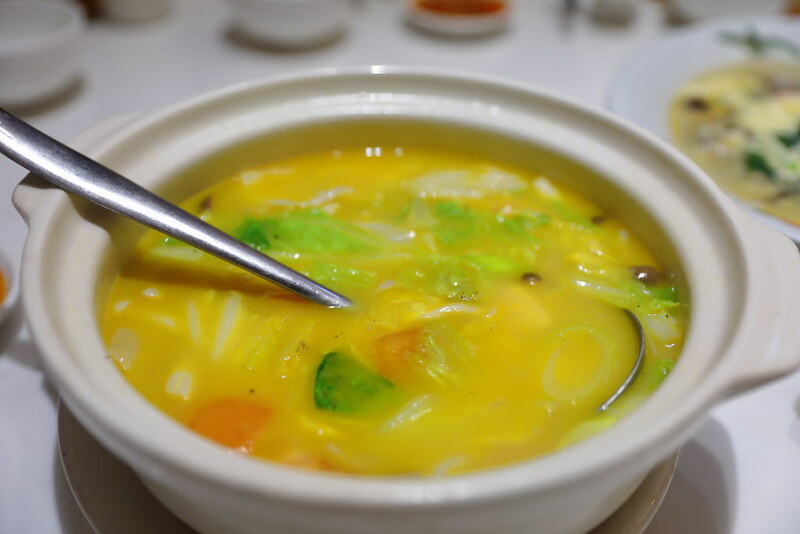 The pot of soup is pale yellow in colour, briming with vegetables, mushrooms and fish maw. I am not sure whether you can really call this fish maw soup as I find the chicken stock and vegetable flavour come across stronger. Putting that aside, its actually a comforting and hearty pot of soup. 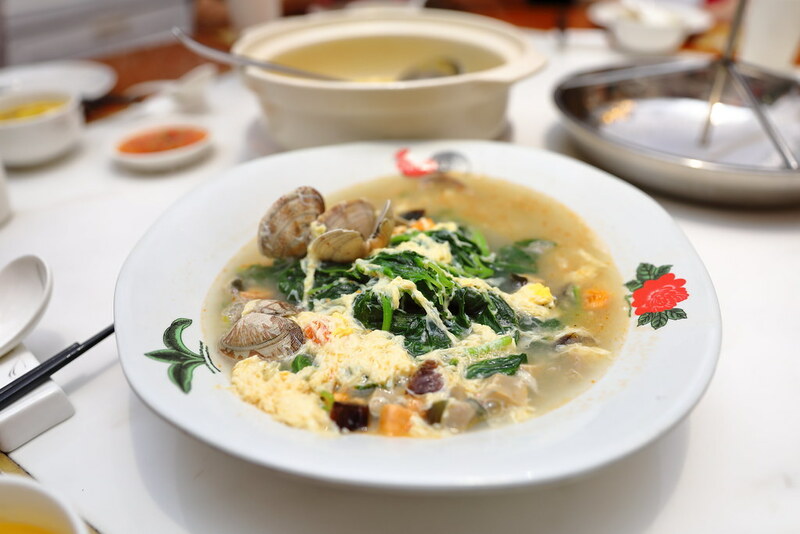 A common vegetable dish on most Chinese restaurants' menu is the Trio Eggs Spinach ($14). What stands out is the superior stock, sweetened by the clams which heightened the flavour. 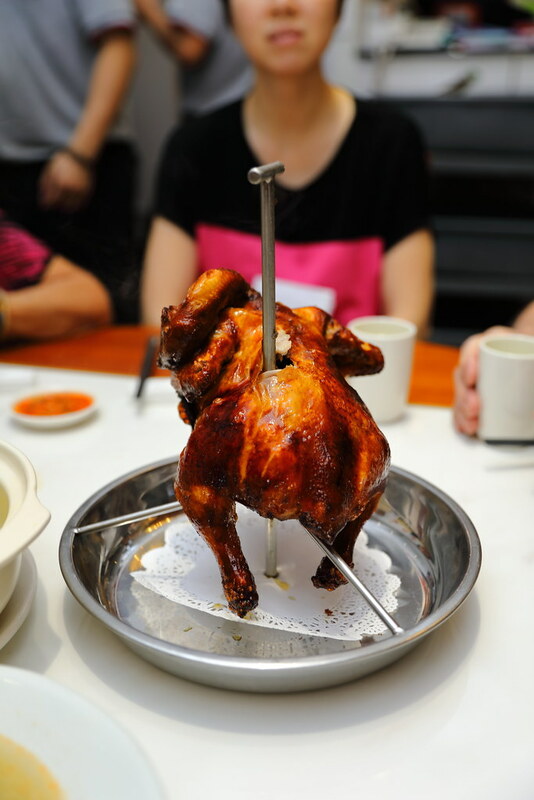 A must try dish at Tasty Court is the Crispy Dong Tok Roasted Chicken ($28). 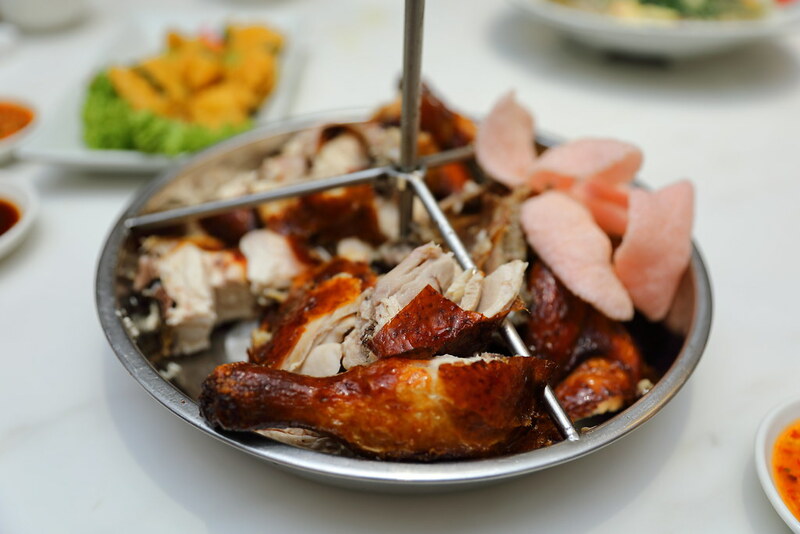 Served hanging, it is cooked to a delectable crispiness on the skin while the meat is tender. Lucky the kitchen will help to chop it up and I no need to get my hands dirty tearing it apart. 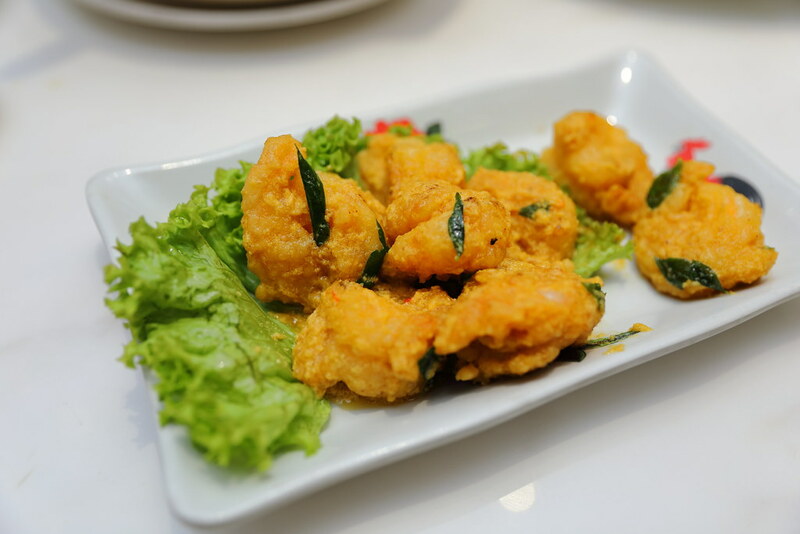 The Salted Egg Yolk Prawn ($22) is coated in a lush salted egg yolk sauce, with a bit of heat from the chilli and aroma from the curry leaves. The prawns were also huge and crunchy. 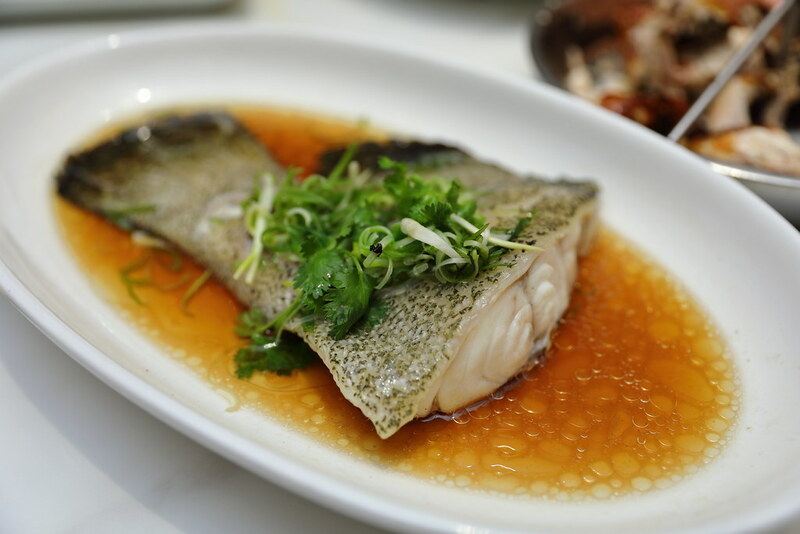 Last but not least we had the Steamed Giant Grouper Fish Tail ($40) done in Hong Kong style. The skin of the Long Dan fish has a layer of firmness underneath it. The fish itself is firm and slight tough. Tasty Court is really packed during dinner time, so it is best to call and make a reservation before going down. If you are driving, parking is also quite challenging in the small private estate.